Netflix has announced that Ryan Murphy’s new series, The Politician, will launch on the streamer on September 27. You can check out the announcement poster in the gallery below! 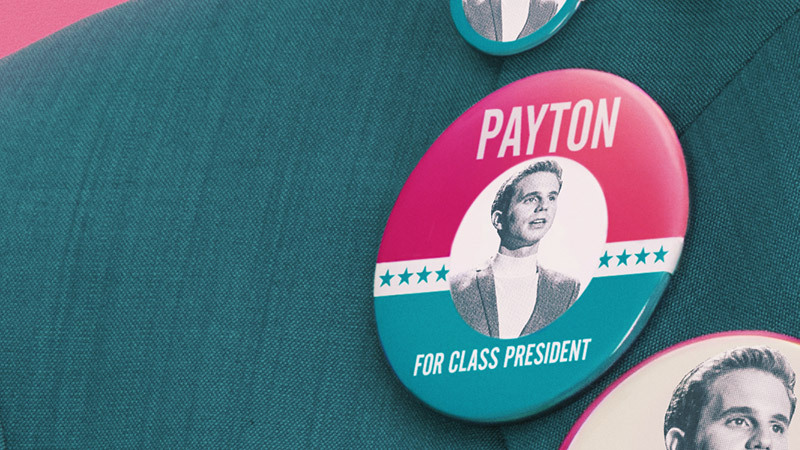 Payton Hobart (Ben Platt), a wealthy student from Santa Barbara, California, has known since age seven that he’s going to be President of the United States. But first, he’ll have to navigate the most treacherous political landscape of all: Saint Sebastian High School. To get elected Student Body President, secure a spot at Harvard, and stay on his singular path to success, Payton will have to outsmart his ruthless classmates without sacrificing his own morality and carefully crafted image. Full of dark comedy and sly satire, Ryan Murphy’s The Politician offers a rare glimpse into just what it takes to make a politician. The Politician stars Tony Award winner Ben Platt (Dear Evan Hanson), Gwyneth Paltrow (Avengers: Infinity War), Jessica Lange (American Horror Story), Zoey Deutch (Set It Up), Lucy Boynton (Murder on the Orient Express), Bob Balaban (Gosford Park), David Corenswet (Affairs of State), Julia Schlaepfer (Charlie Says), Theo Germaine (Artificial Intelligence), Benjamin Barrett (Badsville), Laura Dreyfuss (Glee), and Rahne Jones (Godspell) as series regulars. The series was given a two-season straight-to-series order. 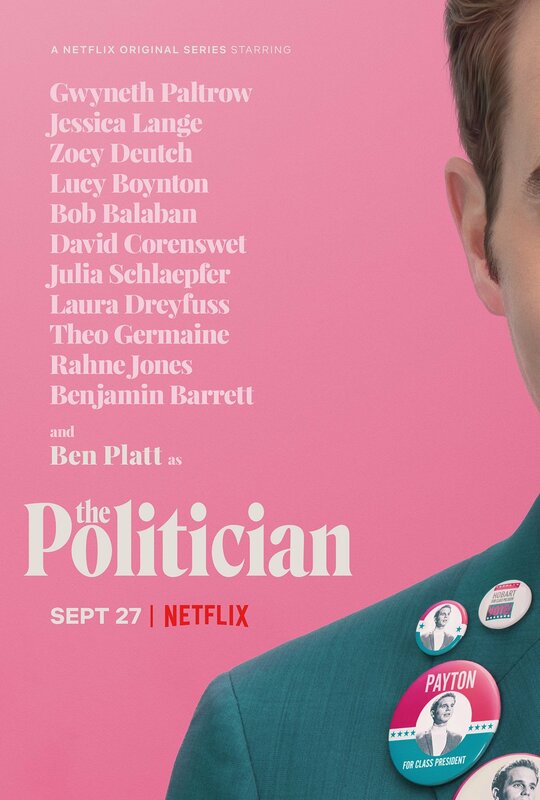 The Politician was created by Ryan Murphy, who co-writes alongside Ian Brennan (Glee co-creator) and Brad Falchuk (American Horror Story, Feud). Murphy’s most recent collaboration with Falchuck is Fox’s drama series 911 and is the fourth series that pair will have co-created. The Politician is Murphy’s second original series arriving on Netflix, alongside his upcoming project, Ratched, a prequel to One Flew Over the Cuckoo’s Nest starring Sarah Paulson (American Horror Story) as a younger version of the cruel Nurse Ratched.